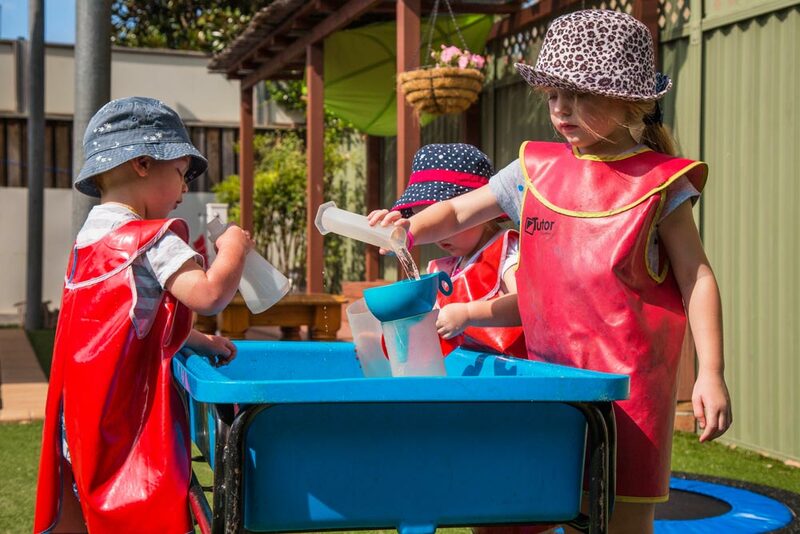 We are a Sun Smart centre where children and educators practice sun safety. Children and educators wear sun protection when the UV is above three. The Sun Smart choices children will make include wearing wide brimmed hat, using Cancer Council Sun Screen 30+ and wearing a long sleeved shirt outdoors. Each morning the Ultra Violet (sun) radiation is recorded by educators to determine how strong the sun is and if sun protective measures need to take place. Kid’n Around provides families with Cancer Council Sunscreen 30+ at the sign in area for children and families to use in the mornings, before outdoor play. Educators apply Cancer Council 30+ sunscreen to children before afternoon outdoor play and always get children to wear their hats outdoors if the UV is higher than 3. If your child uses a different sunscreen that is ok, we will make sure that ‘your’ sunscreen is only used for your child. Nut-based sunscreens are not permitted.